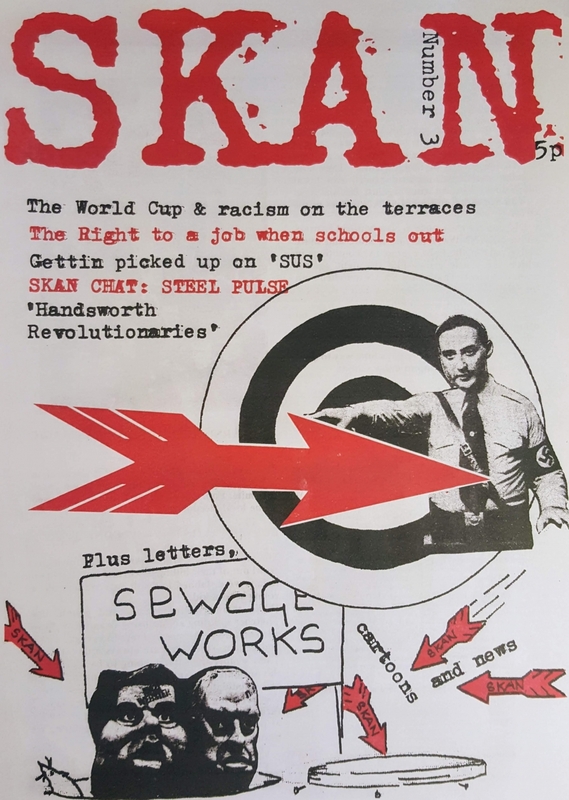 SKAN (school kids against the Nazis) fanzine. This item was linked to Manchester Digital Music Archive's 'We Are Dynamite! Northern Carnival Against the Nazis 40th Anniversary' exhibition, held at Niamos (old Nia Centre) in Hulme in September 2018.